Price Chopper Starting Sunday: 32 oz. Oreo Ice Cream Cake $0.99! 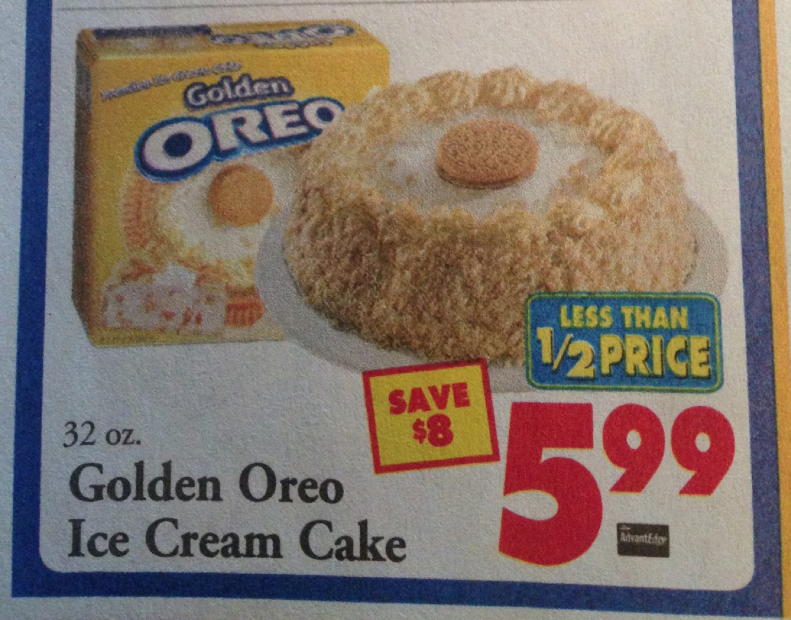 Starting Sunday, Golden Oreo Ice Cream Cakes will be on sale for $5.99 at Price Chopper, enter your info to print this $5/1 coupon and pay only $0.99!